The reply of my two distinguished Council on Hemispheric Affairs colleagues, Aline Piva and Frederick B. Mills, to my September 15, “Brazil’s House of Cards in a Hurricane” provides important insight into the polarized nature of the debate surrounding the fall of the Workers’ Party presidency of Dilma Rousseff. 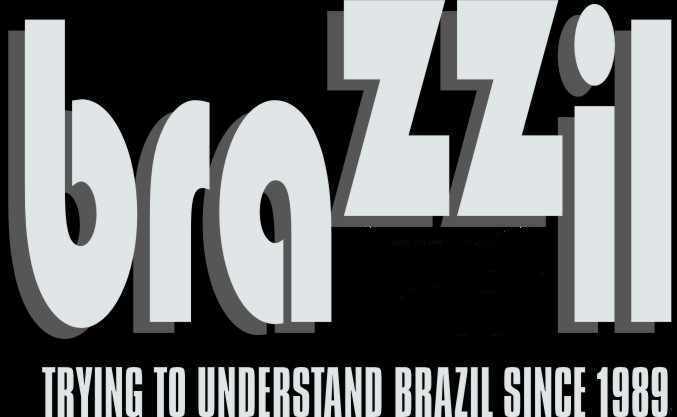 While well meaning, they present an almost wanton misreading of my text and in so doing highlight the depth of the challenge facing contemporary Brazilian politics. At the outset let me reiterate a point I have consistently made in nearly every interview I have given on this subject and which has led to me being pilloried by both the Left and the Right: while the impeachment was strictly speaking legal, it was morally wrong and likely seriously damaging for Brazilian politics. Piva and Mills contend that due process was not followed because they (and many others) feel the charges did not merit prosecution and that Dilma was continuously prevented from mounting a defense. Yet, these issues were repeatedly brought before the Brazilian Supreme Court, whose majority was appointed during the Lula and Dilma Workers’ Party presidencies, and which consistently ruled through its silence and refusal to hear petitions that the process should be allowed to follow its course. Dilma herself was given an extended opportunity to speak to her charges during her trial in the Senate, which, I would remind my colleagues, focused on the issue of fiscal impropriety, not why impeachment was pursued in the first place. While I wholeheartedly share the disgust Piva and Mills evidently hold for the entire affair and its perpetrators, it was nevertheless legal. What my colleagues overlook in their critique of my piece is that impeachment is by its very nature a highly political process bounded by legal institutional formalities, which inconveniently are often defined by the very bodies bringing the charges and conducting the trial. That Piva and Mills use their moral disgust to call for the rejection of a remarkably tight adherence to the legal due process of an impeachment to me raises questions about the depth of their own understanding of democratic institutions and procedures. The elected representatives of the Brazilian people, not some random assortment of special interests, made the decision through the appropriate institutional mechanism to remove the president, all overseen by an independent Supreme Court. Are we supposed to call the elected members of Congress anti-democratic simply because we dislike its collective decision? While this is a very aggressive rebuttal to my colleagues, it is precisely the problem with the anti-impeachment argument widely disseminated in Brazil and abroad. Clearly something is not working well in the Brazilian political system, but the problem is not an absence of democratic institutional process. The argument I make is that there are structural questions about Brazil’s democratic institutions that badly need to be addressed, but which are being largely ignored. Piva and Mills continue their critique by accusing me of supporting Temer’s neoliberal agenda. This misunderstanding clearly rests with the quality of my prose. My intent here was to be ironic, to point out that Temer has taken the facile route of cookie-cutter neoliberalism, not the more integrated, socially inclusive approach to social democracy that Brazil arguably needs. Moreover, part of the point I was seeking to make was that even if the reader has an unquestioned optimistic faith in neoliberal economic policies, Temer’s attempts to ‘rescue’ Brazil are still likely to flounder on the rocks of Congressional intransigency and embedded corruption. In other words, almost any attempt at much needed reform by the occupant of the Planalto Presidential Palace, be they from the Left or the Right, currently seem destined to collapse in corruption and failure perpetuated by the structural and institutional realities of Brazilian politics at a national, state and municipal level. It is now beyond question that key elements of the Workers’ Party inner circle during both the Lula and Dilma presidencies engaged in mind-shattering levels of corruption, which were carefully systematized and institutionalized to create the congressional support base needed to advance their governmental agenda. This likely was not a new invention of Brazil’s Left, but rather a practice that built upon precedent from the center-right Brazilian Social Democracy (PSDB) presidency of Fernando Henrique Cardoso and his predecessors. Whether pushed or pulled, it is also abundantly clear that Temer’s Brazilian Democratic Movement Party (PMDB) was an enthusiastic partner, ensuring that other parties in the congressional coalition also had ample opportunity to feast at the trough. As I suggest in my article, Dilma, who is generally accepted as being highly intolerant of corruption, may well have fallen precisely because she was unwilling to do enough to block the Lava Jato corruption investigations. The response by Piva and Mills thus stands as a particularly good illustration of why Brazilian politics is currently in such crisis. A resort to emotion and moral judgment is replacing much-needed cold-hearted analysis about the underlying challenges. 1. The cynical impeachment of Dilma has placed a permanent and very sharp Damoclean sword over all occupants of the Planalto Palace – Temer is not immune from prosecution and does have articles of impeachment outstanding in Congress with his name on them. 3. Until steps are taken to remedy the electoral accountability failures of the Chamber of Deputies through some variation of a direct election by constituency it is unlikely that the hydra of corruption will be conquered. These, for me, are some of the central issues that need to be discussed. Bringing Dilma back is not only impossible at this point, although she can run for the presidency again in 2018, but also would not solve the problem. Temer is also highly unlikely to solve the problems plaguing Brazil, not least for the reasons I set out in my article. Indeed, perhaps the biggest danger for Brazil and the greatest comfort for the literally dozens of corrupt congressmen who toppled Dilma is that we waste our energies calling each other names instead of engaging in a clear-headed debate about how to learn from this disaster and move Brazil forward. There are scant signs of this debate on the political scene in Brazil, the international academic community has to do better. Dr. Sean Burges is a senior research fellow at the Council on Hemispheric Affairs.